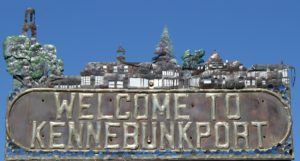 Kennebunkport is a lovely little coastal Maine seaside village. Here’s a few recommendations from us locals to get you started on enjoying your time here. 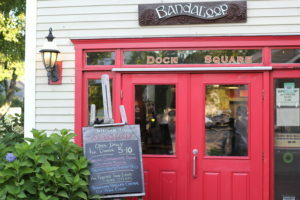 Bandaloop is located in Kennebunkport’s Dock Square, a short 10 minute stroll from the 1802 House. This chef owned restaurant has been a local favorite for more than ten years. It’s eclectic atmosphere is relaxing and the food is all local and organic. There’s a little Asian flair to the menu and the portions are hearty enough for two to share – a good idea if you want to have appetizers and dessert as well. Open from 5pm for dinner only. Make a reservation to dine here. Another Dock Square favorite for 20 years is Hurricane. This casual restaurant is right on the bridge with views over the Kennebunk River. They are open for lunch and dinner. The menu offers a good selection of seafood with oysters from around Maine, lobster and a seafood stew that is AMAZING. They also have small plates and salads, beef, chicken and lamb entrees. A short 10 minute stroll from the Inn. A new favorite of ours is the Old Vines Wine Bar in Kennebunk’s Lower Village. This restaurant is definitely worth the trip across the bridge. Their menu features tapas style choices, really unique salads and small plates. Plus a wide range of beer, wines and very nice cocktails. They are open for dinner with some outside seating during the sunny months. GET OUT ON THE WATER. There are several ways that you can enjoy being on the Maine coast. Coastal Maine Kayak rents paddle boards and kayaks. Theresa and her team can give you advice for where to set in along the river or on the ocean. They also offer guided tours so check their calendar. 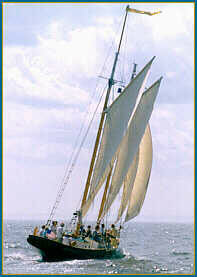 The Schooner Eleanor sails three times daily (weather permitting) from the Arundel Wharf on Ocean Avenue. Parking is limited, but it’s only a short 15 minute walk from the Inn. This beautiful sailboat was built by Captain Rich who can tell you just about anything you want to know about Kennebunkport and sailing. 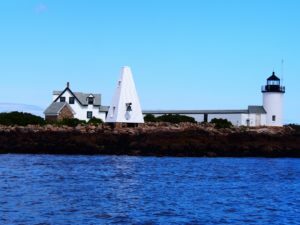 These 1 1/2 hour sails are a wonderful way to see the coastline, Walker’s Point from the ocean side and you can even get a view of Mt Agamenticus in the southern distance. If you want a little more education with your time on the water, definitely book a trip out on the Rugosa lobster boat with Captain Bob and his crew. They depart daily from the Nonantum Resort (weather permitting) at 10:30am and 1:00pm. Pull traps and learn about lobstering, one of our biggest industries here in Maine, or sit back and enjoy the sites along the coastline. For you animal lovers, Scalawags This and That for Dogs and Cats in Dock Square is a must do when you are visiting. 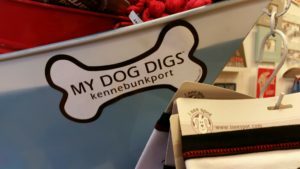 This shop is filled with local and New England specialty pet items ranging from leashes, treats, clothing for you and your pet. It’s really one stop shopping for your little furry friends. If you’re in the car and out in Cape Porpoise (even if you have to make a special trip out there! ), Farm + Table is a MUST SEE kitchen and food item shop. Located in the big red barn opposite the church, this new specialty store is loaded with unique artisinal items. Stroll around our ART GALLERIES. If you happen to be in town on the second Friday of the month, you can enjoy a self-guided walking tour as part of our Village Art Walk from 5 – 8pm. The galleries throw open their doors and offer an inside view into their galleries and the occasional opportunity to meet their artists. True North Gallery in Dock Square is a firm favorite here in Kennebunkport. The gallery is a collaboration of artists Harry Thompson and Jill Previti. Both exhibit their own wonderful artwork that captures Maine and New England beautifully. They also have a large range of other talent on display. Check out Jack Standish (one of Teri’s favorites) when you are there! Maine Art on Western Ave. feature a year around display of painting and sculpture by more than 30 artists. They are easily spotted by the amazing wind sculptures by the internationally renowned sculptor Lyman Whitaker, on display outside the gallery. Finally, just take some time to explore the area. We have a lot of great ATTRACTIONS to see. Coastal Maine Kayak rents bikes and, new this year, they are also renting scooters. If you’d prefer to ride than walk, or take the car, this is a perfect way to get around the area. The Franciscan Monastery in Kennebunk, has 60 acres to explore along the Kennebunk River. View the outdoor shrines and chapels and enjoy the serenity of this beautiful park like location. Goat Island Lighthouse can be seen from the pier in Cape Porpoise. And while you are there, grab a lobster roll and bowl of clam chowder at the Cape Pier Chowder. You can while away time at a picnic table just watching the water. SO MUCH to do here, this list barely scratches the surface! We hope to welcome you to the 1802 House Bed and Breafast when you do come to Kennebunkport. Our gourmet breakfasts and beautiful, peaceful accommodations are another thing to experience while you are here! Reservation can be made online or by phone on (207) 967-5632.